For my first critique class I was scheduled to have my first ‘long’ section (3500 words) reviewed. As someone who gets nervous about having her friends and family read her work, I was glad to see that they’d scheduled a break right after my review, just in case I had to go be sick about the whole thing. But my piece wound up being very well-received, with only minor suggestions…and this was not a group that was holding back. I came away from that class absolutely soaring. Having put in so many hours and having spent so much time fighting the doubts as to whether I’m actually any good at this whole writing thing…to have this happen made me feel that what I’ve been doing really is worth it. Not that I expect every review – or even any more – to go like this. But it was still very nice to hear. My dear friend over at Wearable Miscellany crafted me a ‘Steampunk Writing Charm’ that arrived today. I absolutely adore it and would just like to point out, once again, that she lives too damn far away. I’ve hooked it to my necklace for the moment but I’m thinking I might need to buy some brass links so I can start wearing it as a bracelet. I did it. 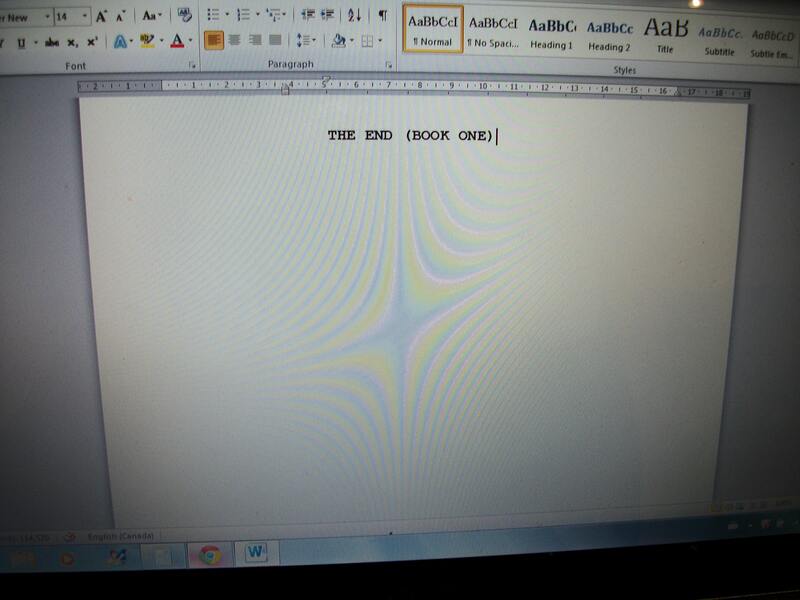 I finished the first draft this afternoon. I think I’m still in considerable shock. That’s not to say there isn’t work to come. This is the first draft, after all…it needs editing, proofing, cleaning up, finessing. I know of at least one major continuity issue that I’m going to have to sort out. The piece closed at 114K so there’s going to be some cutting as well. But all of that will come – probably in a few months once my sleeping gets into order and life settles down a bit (hahaha!). In the meantime, all that matters is that I got to write “The End” and I even managed it before Baby 2 decided it was time for his birthday. And that feels pretty damn amazing. And surreal.